EMC104. Christopher Hobbs Sudoku Music. Chris's new double CD. We've gone on about this elsewhere (see link above and for Chris's MySpace and the EMC Blog). So you know what to do if you want it. £10. Dave Smith has been writing groups of pieces and individual pieces for piano to fit an entire concert for some years. He calls this activity Piano Concerts. His first Piano Concert is a series of pieces meditating on Latin American and other popular styles. Several of these appear on this recording. There's also his On the virtues of flowers and other cool stuff. If you like postmodern British experimental piano music, then this is a fine addition to any collection. You might want to read more about Dave's Piano Concerts on the EMC Blog. £10 plus p & p.
EMC103. Erik Satie. Le fils de étoiles. CD recording by Christopher Hobbs of Satie's longest piece. Liner notes by the esteemed Satie scholar Robert Orledge. In 1989 Chris did the first performance of this piece in its entirety (the three Preludes which begin each act are well known and often played) for London Hall recordings. Since then, Chris has made a critical edition of this work (available as PN0031 here at the EMC) and it is this edition which informs the performance on the CD. Have you ever wished that Satie's music would go on forever? Well, this one does, for a little longer than an hour of statuesque beauty. £10 + p&p.The score is on sale for £12.50 and the CD for £10 but if you order both together we will give you a £2.50 discount. For more details contact us at questions**experimentalmusic.co.uk (for **, substitute @ ). BR0033. Walter and Horace Cardew, Stephen Moore. Chioma Sings Tales of Danny Dark. 'Chioma Sings Tales of Danny Dark' is a suite of pieces describing a story of loss - the inescapable loss of innocence. Danny Dark's world is uncompromising; it offers few chances to escape. When it does these chances must be seized without turning back or are forever lost. His world is harsh and hopeless, but true. The songs are based around real events, although the language is sometimes surreal. The compositions are mostly constructed using a collage technique - texture added, bits bolted on here and there, mixing imporvisation, composition, electronics and acoustic instruments. Really nice sound quality; professionally produced. We like it! New Price! £7 + p&p. BR0032. Paul Dunmall and Bruce Coates. 19 Years Later. CD improvisation by these two British free improvisation players. The nineteen years in the title is the length of time since the last time the players worked together (there's a lovely picture inside of Paul Dunmall and our mate Bruce playing then - and Bruce was only 13!). This time they've chosen soprano saxes for the two pieces on the CD. High and pretty - great for those Steve Lacy and Lol Coxhill fans out there. £10 + p&p. EMC102. Promenade Theatre Orchestra. The Orangery: October 1 1972. "The Promenade Theatre Orchestra's version of Carolina Moon is proving a hit with the man in the street." How would the Promenade Theatre Orchestra fare in the Big Brother House? John L. Walters explained how he saw it in The Guardian. Inspired by Erik Satie's graceful and funny deflation of grandiosity, the percussive glow of Balinese gamelan and, closer to home, the tradition of change-ringing with handbells, their compositions were unassuming and direct in their appeal, yet infused with a quirky charm that still holds the attention 30 years on. This CD was recorded by Bryn Harris, who provides a cool account of the recording and of his mastering (in conjunction with Music Now) from the original tape. Includes short notes by all the composer/performers. See Books and Records for more information. BR0027. Michael Parsons. Piano Pieces 1977-96. We are pleased to re-issue Michael Parsons' "Piano Music 1977-1996", a comprehensive collection of pieces performed by the composer. They exhibit the typical qualities of his music; economy of material, clarity of structure and an objective approach to the actualities of sound and performance. 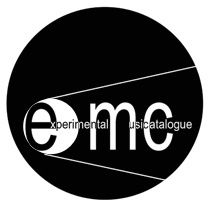 This is an important document in British Experimental Music, and EMC are proud to be able to distribute it. £10 + p&p. EMC101. Christopher Hobbs. Fifty inTwo Thousand. The first of EMC's own recordings, Fifty in Two Thousand is a 75-minute systemic piece for piano, prepared piano, electronic keyboard and percussion, coming to you in plain EMC purple livery. This quietly alluring music possesses the seemingly incidental beauty that can arise in music composed under self-enforced constraints. See Fifty in Two Thousand CD for more from this review and more about this CD. See what John L. Walters had to say about this piece in his "On the Edge" column in The Guardian newspaper. £10 + p&p. BR0024. Cornelius Cardew Memorial Concert. The original LP of the concert at the Queen Elizabeth Hall in London, 16 May 1982. Impetus records, IMP28204, 1985. The EMC has received a very, very limited number of these now-rare LPs. This historic recordings features many of Cardews colleagues and friends (the performer list reads like a Who's Who of British experimental music) performing many of his greatest works: Treatise, Paragraph 1 of The Great Learning, "The Turtledove" from 3 Bourgeois Songs, Thälmann Variations, Croppy Boy, and We Sing For the Future (take note that we have scores for some of these pieces: see the EMC Catalogue. We've only got 10 left, and once they're gone, they're gone. £30 + p&p. BR0004. Virginia Anderson. 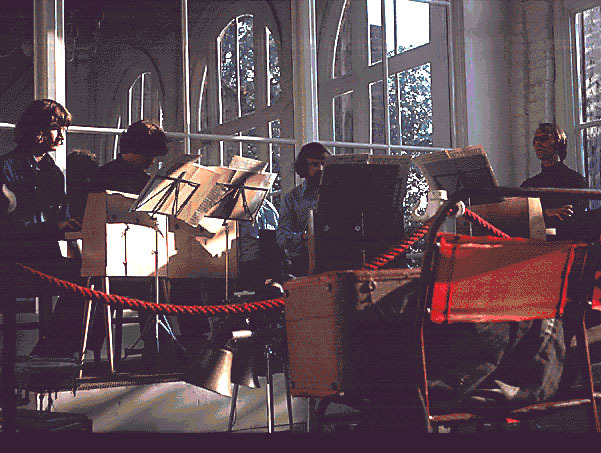 British Experimental Music: Cornelius Cardew and His Contemporaries. 1983: thesis, 287 pp. Facsimile of the original typescript thesis, comb-bound. £20 + p&p. A well-regarded and much-cited history of the classic years of experimentalism. The original was the most popular interlibrary loan item from the University of Redlands until it was stolen in the early 1990s and the current facsimile is proving equally popular. An interesting and valuable companion piece to Michael Nyman's Experimental Music: Cage and Beyond. So popular that it's gone! We'll try to get a replacement soon. If you are interested in any of the above, e-mail questions**experimentalmusic.co.uk (for**, substitute @) for postage costs. Payment is by snail-mail via cheque or by Paypal via cheque or credit card (see Paypal for information on how this works); please specify whether you would like a faster or slower delivery of your goods. Because of fluctuating exchange rates, please e-mail us for current prices in any other currency than UK sterling.